The simple sport of snorkelling is one of the Maldives’ most magical pastimes. 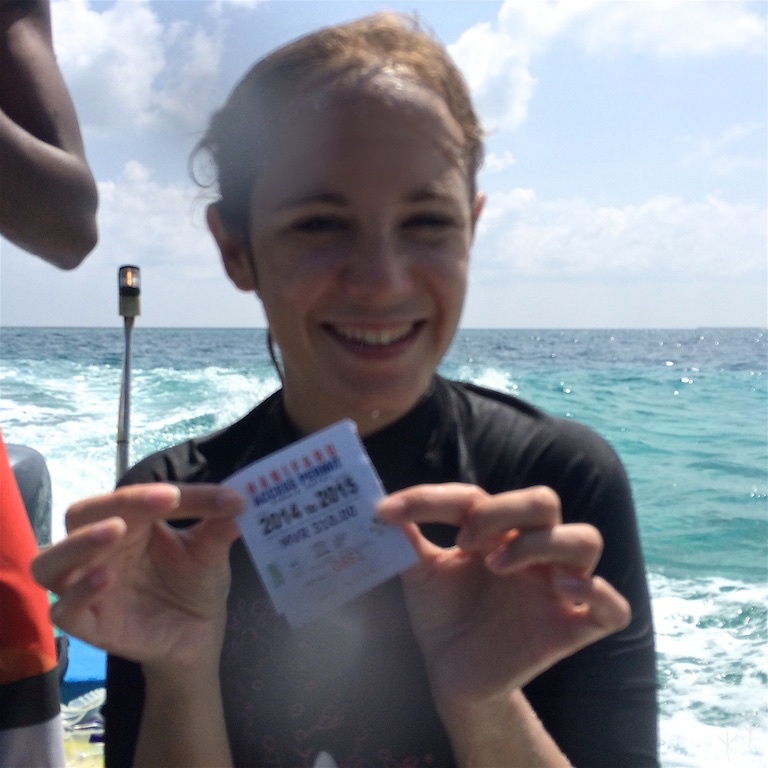 With an abundance of sea creatures inhabiting thousands of shallow reefs across the country, snorkelling is an incredible way to explore the world below the surface. 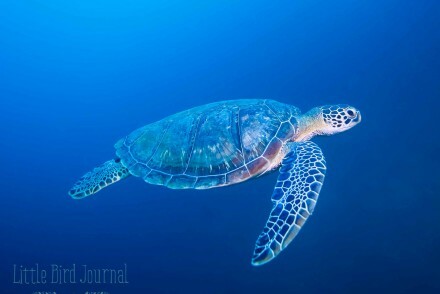 And for those looking to encounter some of the ocean’s largest residents in the country’s marine reserves, the sport often takes precedence over scuba diving. As our modest dinghy slowly putters along the edge of Maamigili Beyru, a 16km long reef that marks the most southern edge of South Ari Atoll, the sun blasts down upon the ocean. 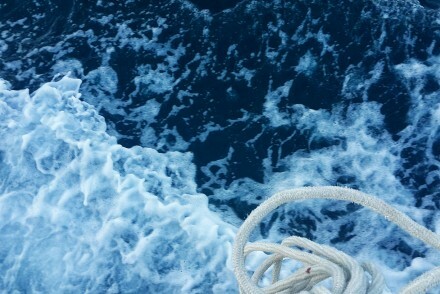 Standing at the bow, I scan the surface of the water, straining my eyes as I search for a telltale shadow beyond the glare of the sun’s reflection. Our longhaired guide Naushad stands with one leg upon the gunwale, like a pirate scrutinising the horizon for land. Land, however, is the last thing on our minds. We have bigger fish to fry. Or, to make the saying more literal, to find. For today we’re on a mission to locate the biggest fish on the planet. The titanic whale shark. It’s my twenty-ninth birthday and I’m hoping to celebrate with my first ever sighting of one of these colossal creatures and from what I’ve heard, I’ve definitely come to the right place. Rather than opt for an expensive getaway at one of the region’s luxurious resorts, my husband and I decided to visit Dhigurah, an inhabited island that lies only minutes away from the country’s hottest whale shark and manta ray spots. We chose TME Retreats, a beachside boutique hotel with spacious, comfortable rooms for well under USD100 a night. Naushad runs the island’s PADI dive centre, Island Divers, and was born in Dhigurah. He’s dived and snorkelled in this region all his life so if anyone can spot a whale shark, it’s him. 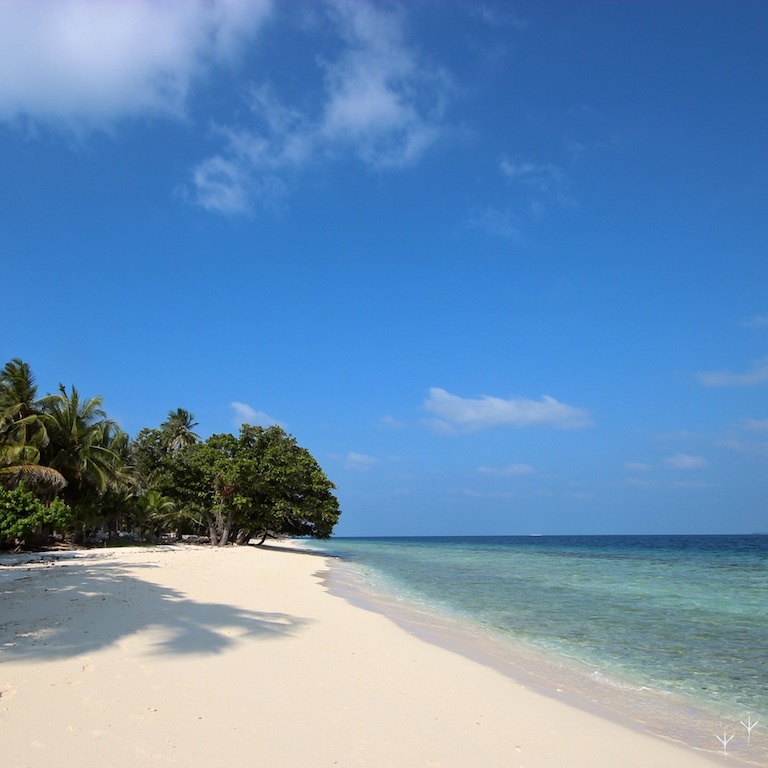 Dhigurah is a beautiful island in Ari Atoll, at the heart of whale shark country. The reef we are navigating, Maamigili Beyru, lies at the heart of the South Ari Marine Protected Area (SAMPA), which covers 42km2 of coral reef habitat. 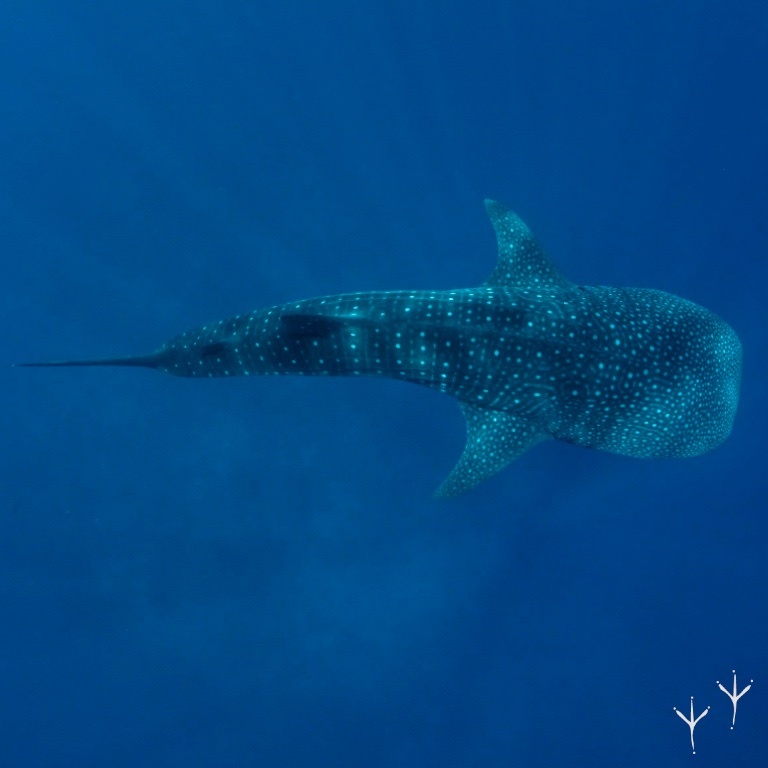 The Maldivian government chose to protect the area in 2009 largely because of the prevalence of whale sharks in the region. Since then and even for decades previously, thousands upon thousands of tourists have flocked here to catch sight of the ocean’s gentlest giant. Unlike the more crowded resort excursion boats, there are only five of us on this small vessel today and we’re feeling lucky. 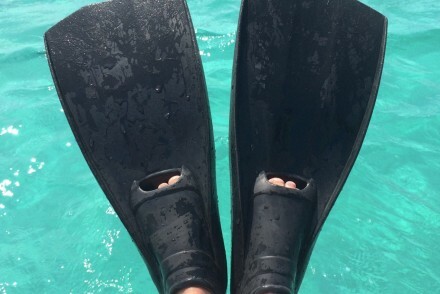 Fins on my feet and mask in hand, I’m ready to jump as soon as Naushad says the word. Yet time passes and doubt creeps in. Every coral block beneath the surface is like a mirage in an oceanic desert. Forty-five minutes pass. Maybe luck’s not with us, after all. Then I look back and see Naushad turn to the captain and mutter something but it’s not the jubilant shout that I was expecting. The captain changes course. Naushad comes over. My heart pounds as we all rather comically avoid looking in the shark’s direction. Soon, we are within a few feet of her. A large black shadow just a few feet under the surface, she seems curious about our little boat. As she swims for a brief moment alongside us, I jump in beside her and begin beating my fins to keep her pace. At four metres long, she’s still a baby but she’s stunning. Her lithe body swings from side to side as her enormous curved tail beats rhythmically. Although she is swimming unhurriedly, every stroke of her tail propels her metres through the water and it takes a concerted effort to keep up. After years of looking at those distinctive, spotted markings in photographs, I am surprised to be totally overcome by her beauty. Her intricate pattern of bright white dots and stripes against a deep navy blue remind me of the complex body paintings of the Australian aborigines. At four metres long, she’s still a baby but she’s stunning. Her lithe body swings from side to side as her enormous curved tail beats rhythmically. Although she is swimming unhurriedly, every stroke of her tail propels her metres through the water and it takes a concerted effort to keep up. For a beautiful twenty minutes, we are the only people in her presence. It is the birthday present of a lifetime. Miuraj and I swimming with a beautiful whale shark on my 29th birthday. This photo and the featured image were taken by Naushad Mohamed and are reproduced with his permission. Fast forward nine months and I’m on a plane heading north to Baa Atoll, the only atoll in the country that is protected in its entirety. Declared by UNESCO to be a Biosphere Reserve in 2011, the region is famed for its biodiversity, its mangroves and its frigate colonies. But the jewel in the atoll’s crown is unquestionably Hanifaru Bay, a small inlet on the eastern edge of the atoll. The bay itself is a coral formation like any other reef in the vicinity but its shape makes it unique. Rather than forming an enclosed circle, Hanifaru Bay is not completely fenced off by a coral wall – it is, well, a bay. From the air (or Google Earth), you can see that it is an enclave attached to a reef, jutting out to its side like an open hairpin. It is because of this seemingly insignificant fact that during the northwestern monsoon of April to November (known locally as Hulhangu) something magical happens. Its distinctive shape allows the ocean currents to stream into the bay, bringing and trapping an abundance of phytoplankton. This is the secret to what makes this small stretch of water so incredibly special. For where phytoplankton appears, other creatures follow quickly in its wake, hoping for a bountiful meal. As these microscopic life forms turn the clear waters cloudy, the bay begins to greet much larger sea dwellers: manta rays. 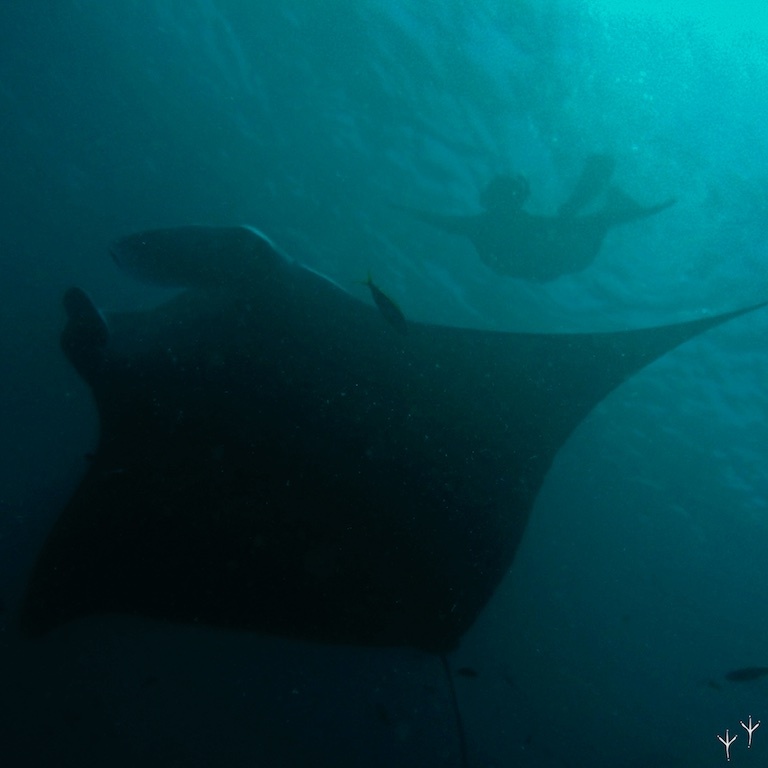 There are approximately 10,000 reef manta rays (Manta alfredi) in the Maldives; the largest population in the world. Each year these ginormous and graceful creatures swarm to Hanifaru Bay to feast on plentiful phytoplankton, the basis of all life in the oceans. At times, the rays can be seen in their hundreds, forming frenetic feeding chains and swooping in circles to optimise the amount they eat, swirling and pirouetting as they filter gallons of seawater through their gills. It’s a sight that those who are lucky enough to witness it will never forget. As I look down at the turquoise reef hoops from my airplane window, I’m hoping to become one of them. Each year these ginormous and graceful creatures swarm to Hanifaru Bay to feast on plentiful phytoplankton, the basis of all life in the oceans. At times, the rays can be seen in their hundreds, swirling and pirouetting as they filter gallons of seawater through their gills. Snorkelling is the only means by which to observe this incredible phenomenon; Hanifaru Bay is the only place in the Maldives where diving is banned. 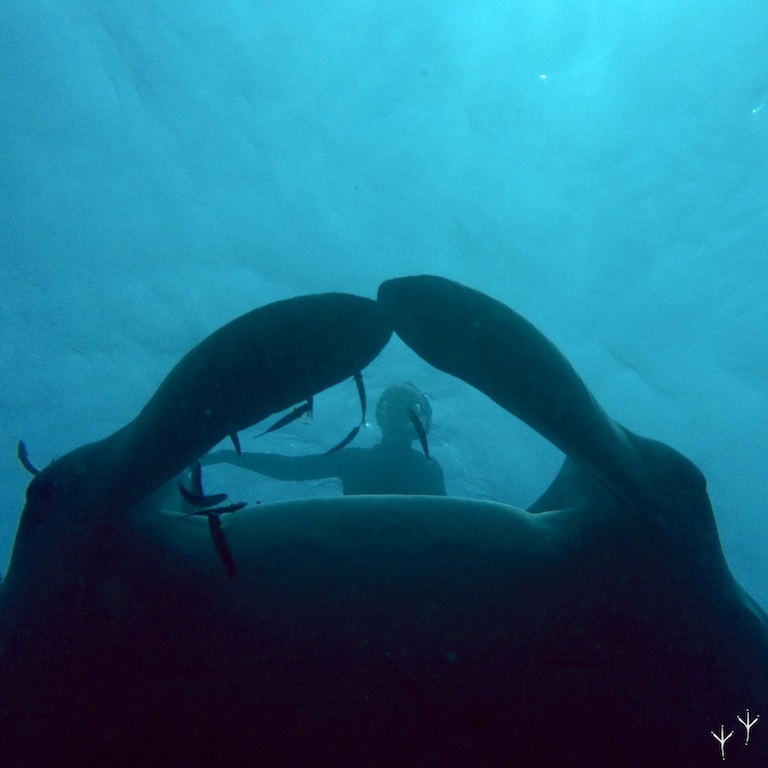 The decision was taken in order to ensure that the rays were not disturbed by divers’ bubbles or by their proximity. In addition, boats are not allowed inside the bay and must drop guests at its edge. Trained guides must accompany tourists and rangers patrol the area to ensure rules are adhered to and to collect entrance passes, which cost about $20 per person. When I arrive in the atoll, it’s the end of November and the northwestern monsoon is coming to an end. We stay at Aveyla Manta Village, a beautiful, newly opened boutique hotel on the inhabited island of Dharavandhoo, which is also home to the atoll’s domestic airport. The island is so close to Hanifaru Bay that I can see it from my ocean view balcony. 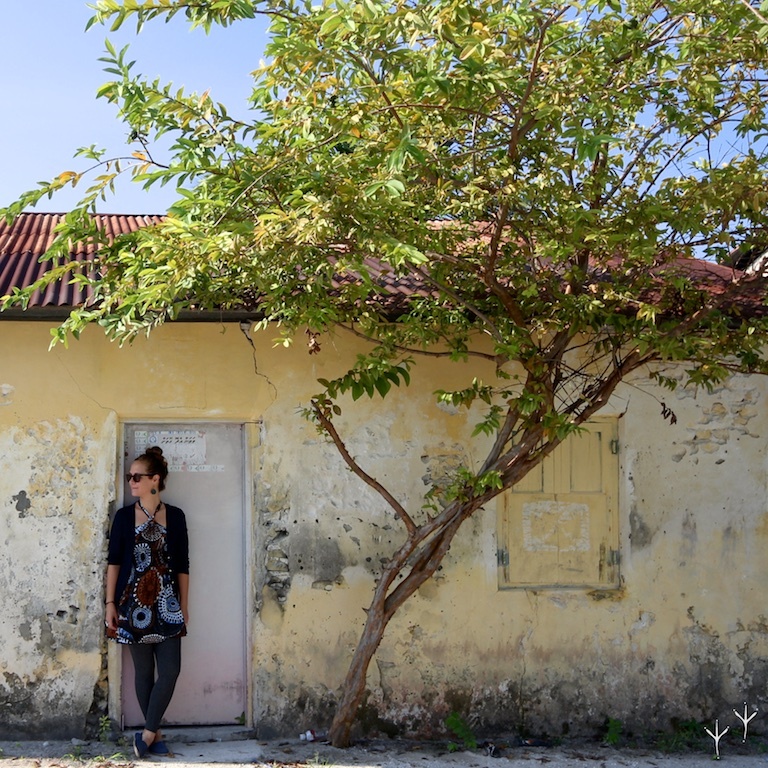 Wandering along its sandy streets, dragonflies hum through the air, signalling that the change in season is upon us. So later, as my husband and I join dive instructors Mario and Sidey from the hotel’s PADI dive centre Liquid Salt Divers aboard a small dinghy and head over to the bay, I worry that I may have left my trip too late. 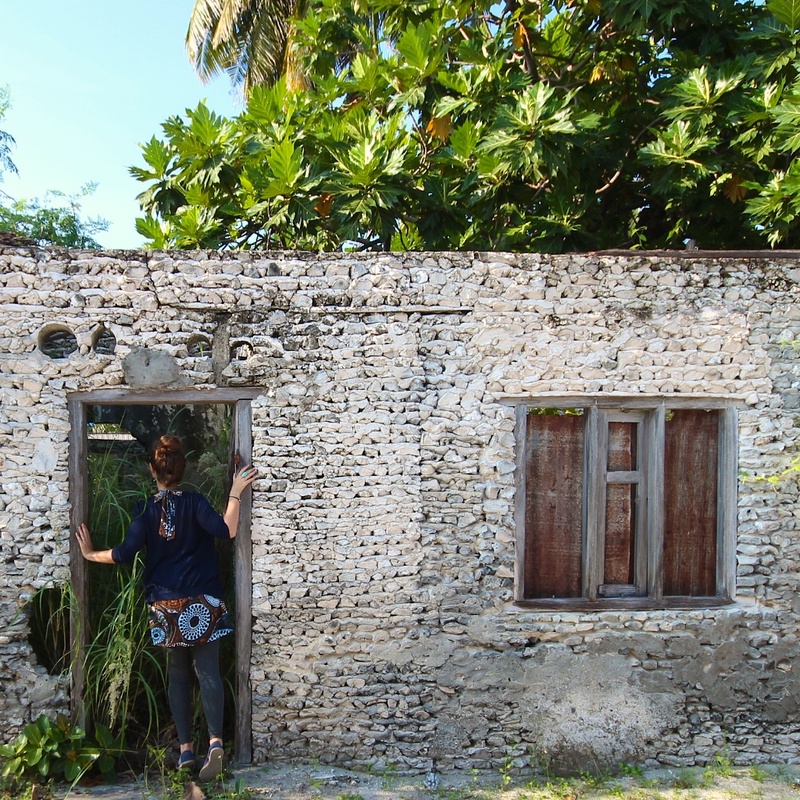 Dharavandhoo is an inhabited island, a quiet community of multihued houses and sandy roads. I needn’t have. As soon as we approach the boundaries of the bay, whilst we are handing over our passes, two dark shadows glide by the boat and flip over to reveal white bellies. We waste no time. Fins on, masks positioned and snorkels clamped in our mouths, we jump in after them. Yet no sooner do we spot them that they already disappear. Sidey swims on confidently and I follow in pursuit. We continue swimming for about five minutes and I quickly understand why tourists need a trained guide here. When in the water, a newcomer has no bearing of the shape of the bay and it would be easy to swim aimlessly around for a long time in search of these creatures. But Sidey, Mario and my husband all know what they’re doing and with the help of the boat captain’s eyes from afar, within minutes we find ourselves surrounded by 15 enormous specimens, circling in a vortex of plankton. By doing so, they feed more efficiently by trapping the plankton in the streams of water they create. The visual effect is poetic. As they purposefully loop around each other, they appear to dance. It’s mesmerising. With that spot of plankton seemingly all munched up, the rays disappear as fast as we had found them. We continue to swim along the curve of the coral parameter. Suddenly, ray after ray swoops below us, forming an extensive feeding chain. More and more join them and we are left to bob about in overwhelming awe, surrounded by these giant animals. I attempt to count them and when I surpass 40, I give up. What makes the experience all the more remarkable (and all the more ideal for snorkelers) is how close to the surface these animals come. At times I find myself having to actively avoid crashing into them. These creatures are curious and will come within inches of you when they realise that you are not a threat. Touch them, however, and they will shoot off into the blue. 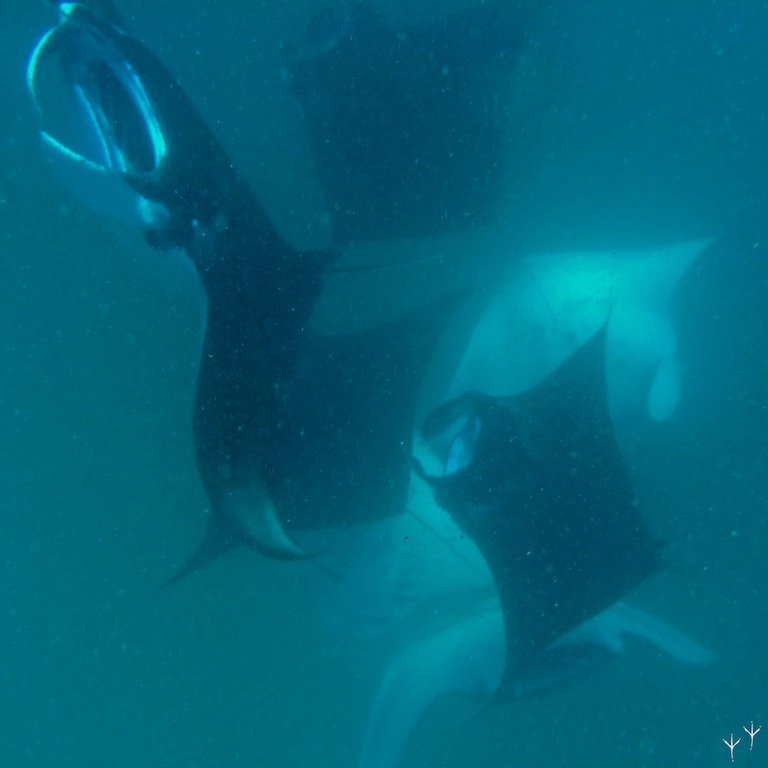 Although inquisitive and trusting, manta rays are also highly sensitive. The proximity allows me to inspect their individual markings and colourings up close. I’m surprised by the variation in colour tones. Some are nearly black whilst others are a much lighter grey, almost white in places. Interestingly, each specimen can be identified by the spot pattern on its underside and this has been likened to a fingerprint by marine biologists. 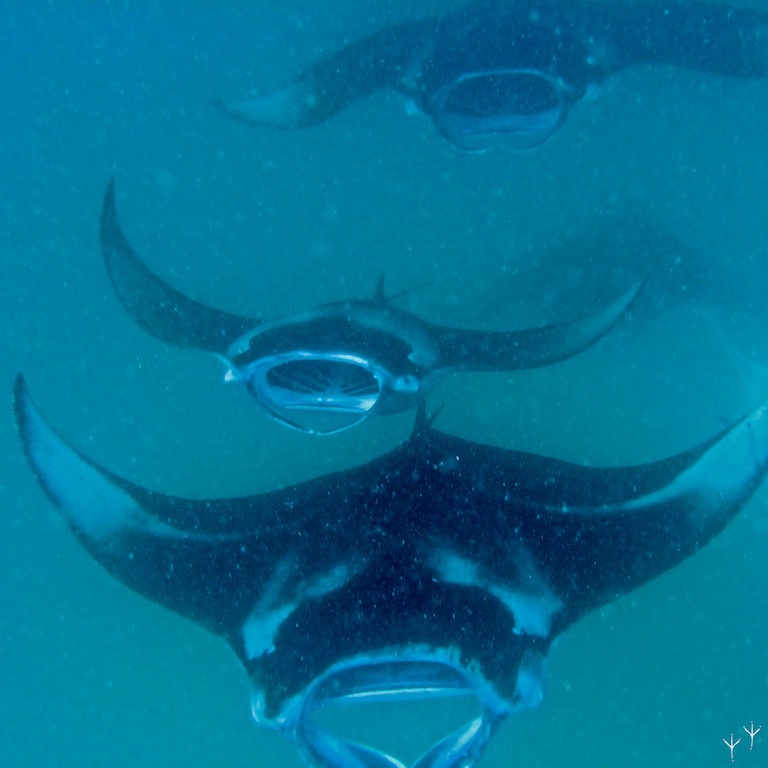 No two rays are alike and local NGOs such as The Manta Trust are working alongside dive centres and resorts to create a countrywide photo database of all the rays they encounter. We spend more than an hour in this state of wonderment and it’s difficult to get out of the water. Despite having heard stories of dozens of boats filling the bay with eager tourists, we are its sole visitors throughout our entire excursion. I’ve often found that visiting places that have so much hype surrounding them can only end in disappointment. Hanifaru Bay is not one of them. Nothing can prepare you for the sense of reverence these beings inspire. 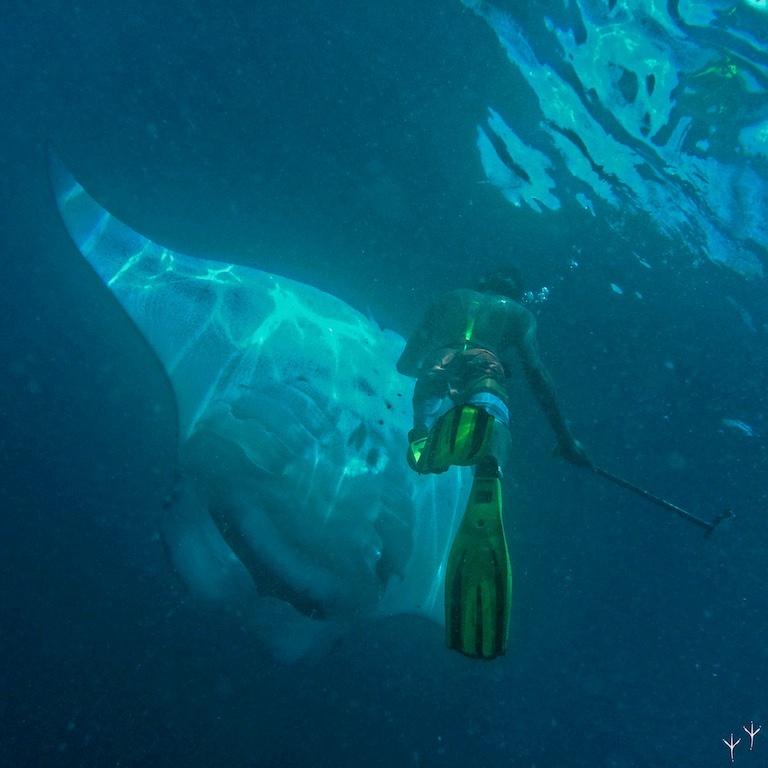 The manta rays allow humans to come very close to inspect them. 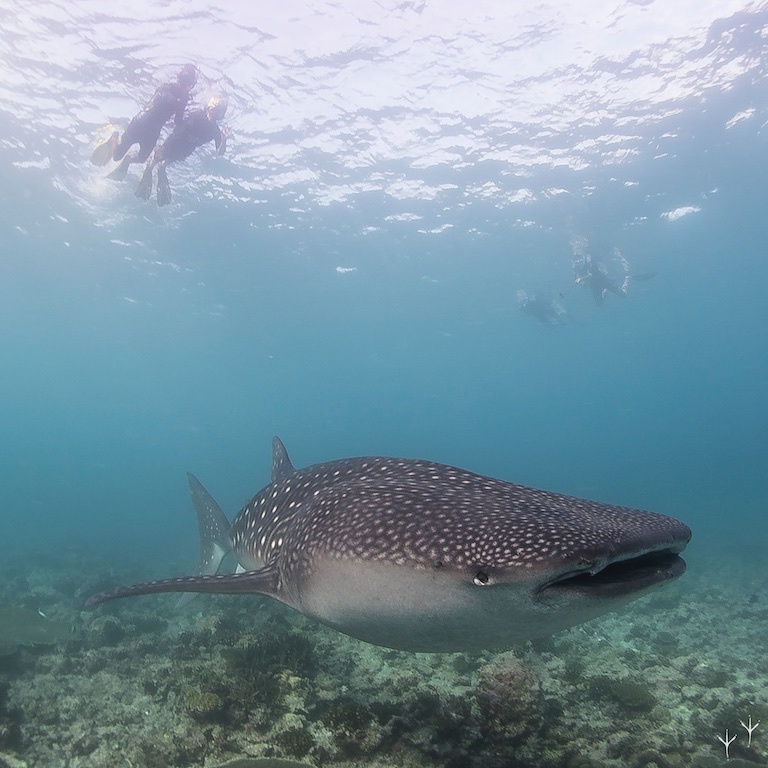 SAMPA and Baa Atoll are the largest marine protected areas in the Maldives and snorkelling is an ideal way to encounter the manta rays and whale sharks that frequent them. This is not to say that scuba diving is not an incredible way to explore these marine ecosystems. On the contrary, scuba diving in these regions (with the exception of Hanifaru Bay, where it is banned) is mind blowing! For those keen to don scuba gear, many individual dive sites throughout the Maldives are also protected. Rather, it is to emphasise that those who are unable or not tempted to dive can still encounter an incredible variety of species, simply armed with a snorkel. Maldivian legislation is in many ways exemplary in its protection of its wildlife and delicate coral ecosystems. The vast protected areas of both Baa and South Ari Atoll are evidence of this. Yet many here believe that the greatest tools for environmental protection are awareness and education. In this spirit, foreigners and locals alike are encouraged to explore these incredible biospheres to learn about their fragility and their beauty. What’s even more incredible is that to do so, all you’ll need is your snorkelling gear and a sense of adventure.